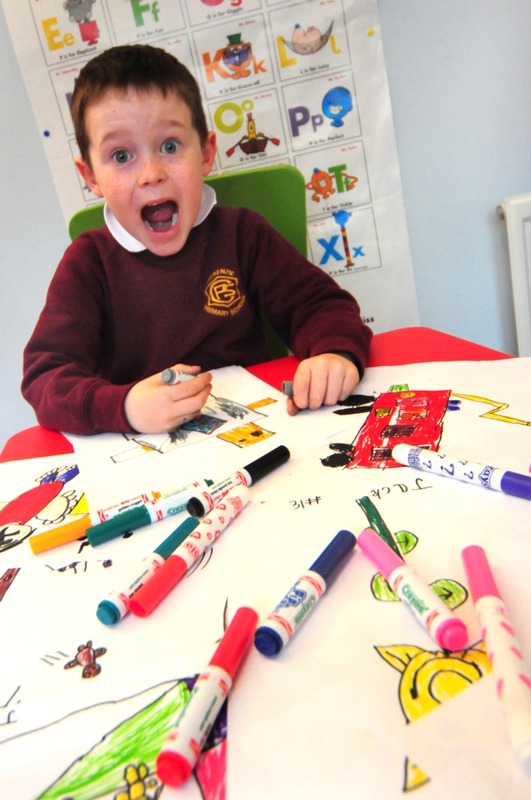 East Lothian schoolboy Six–year old Jack Henderson who has been accepting requests to draw pictures in return for donations to the Sick Kids’ Friends Foundation has become an international Internet sensation. In just over a week, his website had 41,000 hits from 94 countries as far flung as Azerbaijan, Cambodia and Costa Rica to the more familiar USA, Japan and France. Jack came up with the idea after a family friend bought a drawing from him for 20p at a craft fair. He initially set a target of raising £100 to support the Edinburgh children’s hospital baby brother Noah, aged one, regularly attends with chest problems. That target was reached within a day and Jack went on to raise almost £7,000 in seven days through donations ranging from £2 to £100. Jack has gone through three sets of felt-tip pens, drawn almost 40 pictures and has spent 30 to 40 minutes on each one. He’s had requests for pictures ranging from a banana on a skateboard to an Olympic robot to a rubber duck riding a bike shooting lasers. However, with just one pair of very small hands to complete the work and at least 500 pictures still to do, the Henderson family has decided to set a deadline of Monday April 4 at 10am for any new picture requests. But big-hearted Jack is hoping that he will be able to keep fundraising after that to reach his new target of £10,000, even if he’s not taking any more requests. He’s asking people who log on to his site and enjoy his pictures to make a donation to get him to his target. “Jack is just a little boy who loves drawing and who loves his brothers. He is always very concerned when Noah has to go into hospital and he sees this as a way he can help the hospital that takes such good care of his baby brother. It has been a family affair for the Prestonpans brood with middle brother Toby, three, helping with colouring and inspiration and even baby Noah grabbing a pen here and there. Mum Rose and Dad Ed have been busy updating the website, responding to requests and managing their son’s publicity trail while continuing to run the family home, as well as their respective jobs.